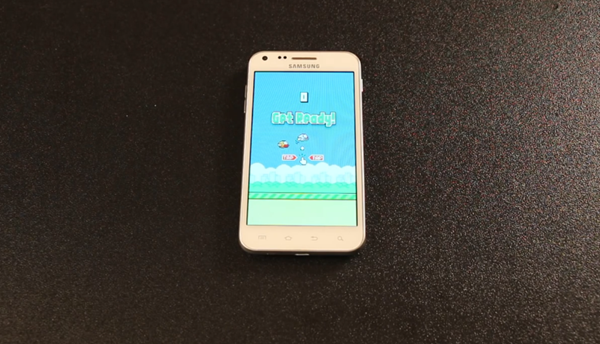 With its pick-up-play ability, simple, nostalgia-inducing graphics and challenging gameplay, Flappy Bird has been the subject of meteoric rise in the mobile gaming industry. Its developer has seen well in excess of 50 million downloads and counting, and it’s gotten to the point now that wherever you go, people are talking about it. Some folks seem to be finding it easy to get three-figure scores while others are embroiled in a challenge to hit 50, but if you’re looking for a sure-fire way to beat the game, then this video tutorial might help you achieve you goal. Like any game, once you’ve mastered the technique, getting a good score is actually not too difficult after all, and after you’ve watched the video, you too should be able to trounce your buddies and, with that, boost your street credibility many times over. Sucked in completely by the Mario Bros. aesthetics coupled with the old helicopter format, you’ve probably found yourself a lot more hooked by Flappy Bird than you imagined when you first opened it up, but just when you felt as though you would never be able to completely boss the game, the ultimate video tutorial comes along and shows you just how easy it can be. Okay, so perhaps this isn’t very helpful after all. If you had built you’re hopes up on finally nailing this game, we’re sorry to have disappointed you guys! On another note, however, seeing the guy take the hammer to his device was extremely satisfying, particularly right after that stupid, irritating little Flappy Bird crashed its stupid face into that stupid pipe. Yes, as you may be able to tell, this game has gotten to me, as well! Unfortunately, this is just one of those games that you’ll either be good at or you won’t. Sure, with enough practice, you can achieve a better score, but there’s not going to be any magical way to get there other than good old-fashioned practice.